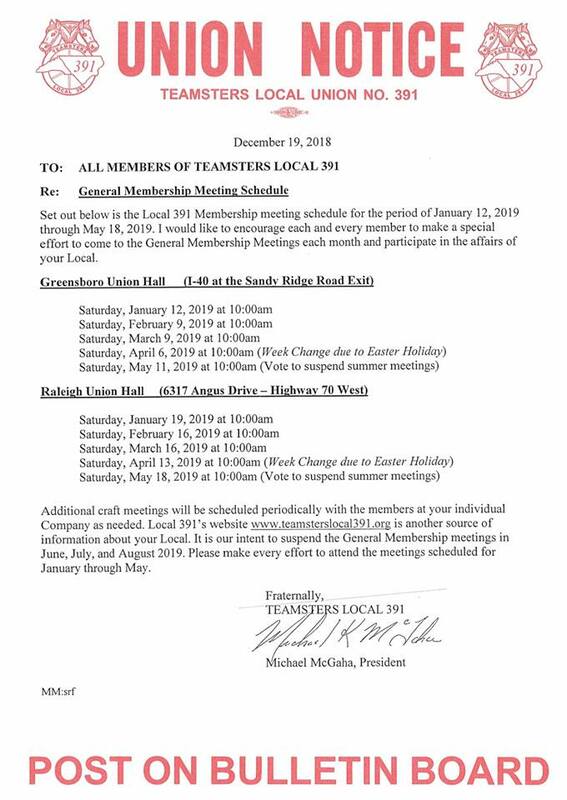 Local 391 membership meetings for the fall resume Saturday, January 12 and continues through May 18, 2019. (Meetings are suspended June-August and will resume in September.) All meetings begin at 10AM. 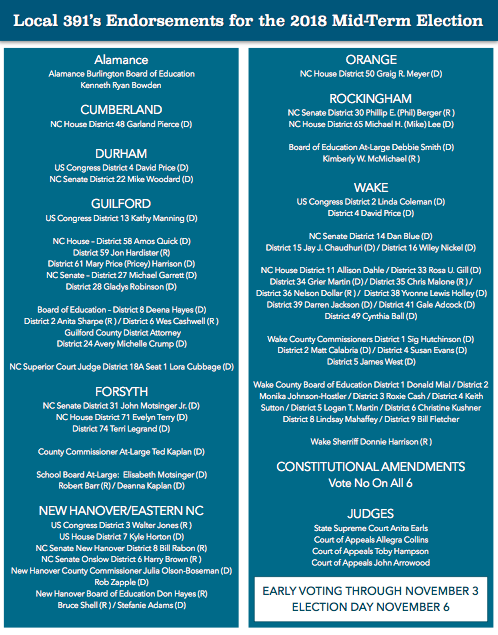 Today (October 17) kicks off early voting in North Carolina and Local 391 is providing the following as a voter guide in races around the state that affect our members. 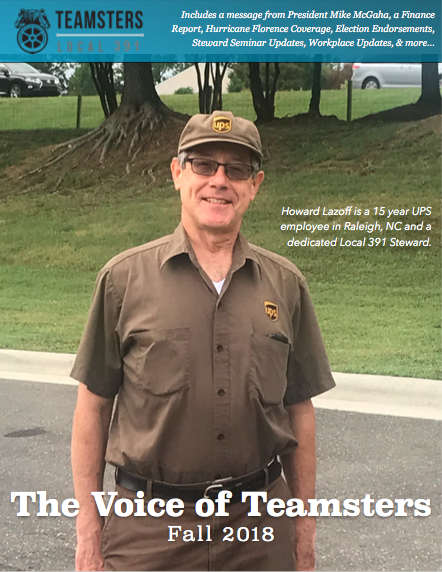 "Please consider using it as a guide as you cast your vote," said Local 391 President Mike McGaha.